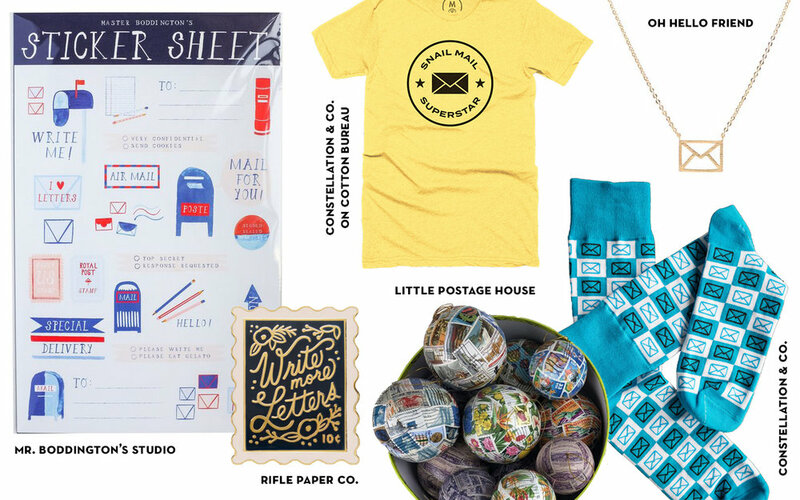 Snail Mail Gift Guide — Constellation & Co. 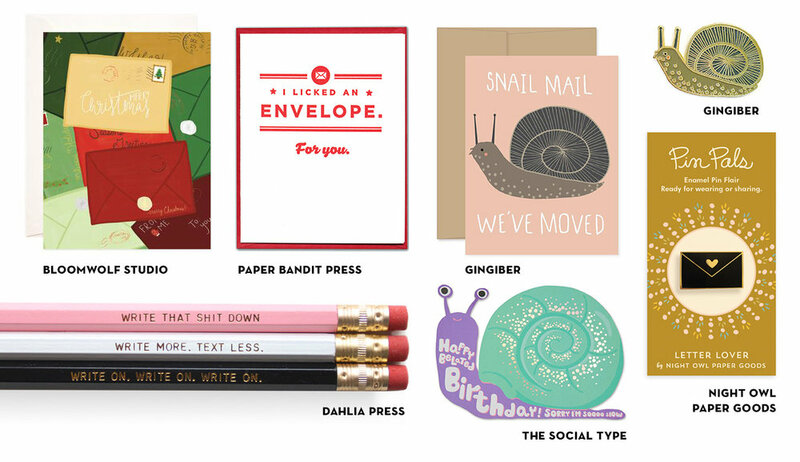 I took a deep dive into the best corners of the internet and called in a few favors with my stationery industry buddies to bring you… drum roll… my 2018 Snail Mail Gift Guide! Let me know what you think, and if I missed anything fun. Parcel Post Envelope pencil bag - Belle & Union Co.
Parcel Post Mailbox pencil bag - Belle & Union Co.
Parcel Post Stamp pencil bag - Belle & Union Co.
Snail Mail Superstar enamel pin - Constellation & Co.
You Make My Mailbox So Happy card - Constellation & Co.
Snail Mail Superstar zipper pouch - Constellation & Co.
Snail Mail Socks - Constellation & Co. 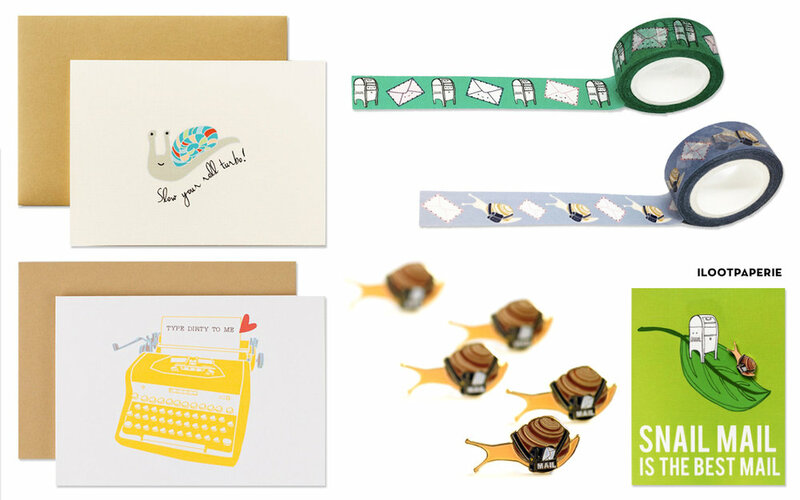 Stamp enamel pin - Rifle Paper Co.
Snail Mail Sticker Set - Yellow Daisy Paper Co. Decorating My Stationery Store for the Holidays!